Despite the well-known criticalities that the industry is undergoing, experts are confident that in Turkey a number of sectors and products will still manage to experience an interesting growth rate in the near future, driven by rocketing exports and by the success of e-commerce. As a subsidiary of the Eczacibasi Group, Ipek Kagit was first to introduce the complete range of tissue paper products in Turkey from 1970 on. Now, as a leading actor in the tissue paper sector, the company is operating three paper machines in its main plant in Altinova/Turkey which is situated close to the cities Istanbul and Izmit. A fourth PM is located in the new plant in Manisa which is located not far from the city of Izmir. Ipek Kagit also has a converting factory in Kasachstan. With a population of 77.7 million inhabitants, 50% of which are under the age of 30.7 years, Turkey’s Gross domestic product (Gdp) has been recently experiencing an impressive growth. Despite the political controversies it often has to deal with today, the country represents the 16th largest economy worldwide and, according to sources, the 6th richest economy compared to the European Union. The average growth rate of its aforementioned Gdp was 4.7% between 2002 and 2014 although a modest slowdown was expected in 2015 and 2016, down to 3 and 3.9% respectively. At the same time per capita Gdp climbed to 10,404 dollars in 2014, from the mere 4,565 it recorded 14 years ago. Ankara’s encouraging economic performance has a positive impact on the paper industry too. As observed by Tugba Erdogan, a representative of Hayat Holding, during the latest Pulp and Paper Week in London, the overall domestic consumption of paper and board products has been rising constantly and significantly since 2005, when it only amounted to 3,8 million tons roughly. Almost one decade later (in 2014) the figure was as high as 5,8 tons and corrugating materials proved able to gain the largest market share (41%) followed by printing and writing paper (21%) and carton board (17%). The segments of tissue, newsprint, wrapping paper and craft paper only managed to achieve a 8%, 7%, 4% and 2% share respectively, Erdogan said. As for pulp, its relevant market has been displaying an interesting growth rate too, in recent years, with forecasts suggesting some 1.2 tons of material could be traded by the end of 2017, as opposite to the 420,000 tons delivered in 2005. Softwood is expected to represent nearly 50% of overall sales but now it seems to have lost momentum and its performance is today considered flat. On the other hand, eucalyptus is still on the rise and predicted to reach a 700,000 tons volume this year. In 2015 most of the material would address the needs of the tissue industry whose demand was as high as 665,000 tons, 65% of the market. 16% of pulp was destined to hygienic products; and the remaining part to paper and board manufacturers. Eucalyptus is generally imported from such countries as Brazil (55%); Spain and Portugal (38%) and Uruguay (7%); while Turkish producers usually purchase hardwood from Bulgaria (27%); Indonesia (18%); the United States (15%); Finland (11%); Sweden and Russia (7%). The United States are also the country’s main providers of softwood, with a 47% slice of the market, followed by Finland and Sweden with their 18 and 15% respective shares. Germany and Canada are also in the list, accounting for 8 and 7% of overall product sales in Turkey. Eucalyptus represents today 46% of total consumption, according to figures, and the weight of Northern bleached softwood kraft (Nbsk), the paper industry’s benchmark grade of pulp, is 23%. Fluff accounts for a 21% rate and finally hardwood is 10% of the overall request. Despite Tugba Erdogan has stressed the criticalities and challenges that Turkey will have to overcome under the point of view of logistics, it also has to be noticed that few of the nation’s most important ports are reasonably close to fine paper and tissue mills. This is the case of Izmit, with six fully operating tissue mills, able to ensure a 470,000 tons yearly production. And the Izmir area also deserves to be mentioned here, because of the five tissue mills – in addition to two fine paper mills – that it hosts. Their overall output could have amounted to some 270,000 tons in 2015 alone, as Tugba Erdogan reported in her presentation. Looking at tissue, in 2015 production capacity in Turkey was 760,000 tons but also due to a series of newly established plants it is today forecasted to reach a 940,000 tons high by the end of this year. On the other hand it has to be pointed out that the utilization rate of Turkish facilities has been falling in recent times from 99 to 86%. At the same time consumption is growing at a 12% annual rate – the worldwide average figure is around 3,4% – and could nearly reach the peak of 600,000 tons in 2017. Between 2011 and 2012 Turkey added its total output a further 210,000 tons capacity, and exports, following the decrease they recorded between 2013 and 2014, have been experiencing an uninterrupted expansion. Two years ago they amounted to 150,000 tons: today they are poised to reach 225,000 tons, approximately. «Perhaps the most significant driver for the tissue scenario», said Selami Aral, a consultant and partner of the Italian tissue machinery provider Omet, «has been the entry of several large, serious producers into the market. While they were competing, consumption was naturally invigorated and this allowed the faster penetration of a wider range of products. This same competition also started a race to produce the softest possible papers and highest quality products with highest efficiencies on the most modern machinery available. Within a short time, the resulting high quality generated an increased demand from foreign markets, which eventually brought to a record level of 320,000 tons of reel and product exports by 2016». «THE THREE BRIGHT STARS OF THE PAPER AND BOARD MARKET IN TURKEY ARE CORRUGATED BOARDS, CARDBOARDS AND TISSUE PAPERS» said Selami Aral. A number of different elements contributed to the development of the tissue industry, and the local government’s policies also managed to play an important role in this evolution process. «The introduction of tissue paper products in State-run institutions, higher hygienic standards, supporting local industries for converting and dispensing equipment and, last but not least, a booming tourism industry», as Selami Aral considered, «are only a few of the sector’s further drivers, backed by the courageous pioneering spirit of Turkish businessmen. In 2016, the tourism sector has suffered a setback of about 30%, but this recent decline is expected to gradually reverse in the upcoming period, so that observers are quite confident that a 8% increase in consumption is likely to take place in the next months». Of course, the opening of new generation factories will give the industry an additional boost and further news are yet to come. «The major facilities completed between 2015 and 2016», as Selami Aral recalled, «belong to Hayat, Essel, Yontem, Aktul and Ipek Kagit respectively. They are all modern, cost-effective, environmentally sound plants, ready to supply the increasing demand in short and medium term. With this significant upsurge of output, the total annual tissue paper production capacity in Turkey has reached 900,000 tons, which is expected to meet the local demand for the next five years. 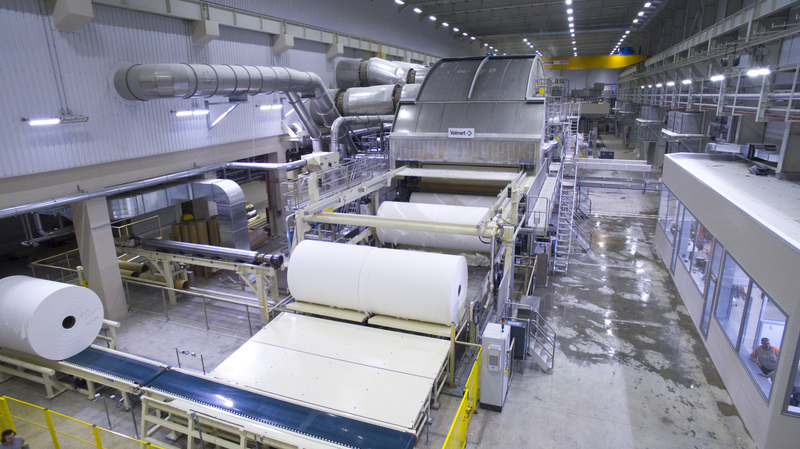 Despite such an overcapacity, further paper machine investments are in planning, and one should not be surprised if even a newcomer enters the market with a major greenfield project within the next two years. As with similar markets, the time when every single town has its own small, family-owned tissue converter will pass and the sector will probably experience a certain degree of consolidation». Between 2015 and 2016 Hayat Holding opened a new 70,000 tons plant in Mersin, in the South Eastern region of Turkey; and so did Tezol, whose production capacity will only amount to 30,000 tons. 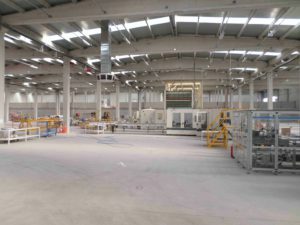 A 30,000 tons-capacity plant was also inaugurated late in 2015 by Essel, who chose the location of Adana, also in the Southeast. Ipek established its new tissue paper mill in Manisa, not far from the Western borders, while finally Aktul, opened in the first quarter of 2016: it can rely on a paper mill in Sakarya, in the Northern part of the State. Its estimated full capacity is around 70,000 tons, as Erdogan said. Selami Aral was also asked to comment on the usage of raw materials in the tissue segment and therefore considered, from his point of view, that virgin pulp will still preserve its prominent role in the near future too. «Virgin pulp», as Aral stated, «will probably continue to remain as the dominant raw material, since the usage of recycled paper is generally associated with procurement difficulties and additional costs. Pulp needs to be imported, but the availability of the right fiber composition for each tissue paper grade is no more a concern for Turkish manufacturers, since increased capacities now allow bulk shipments of suitable pulps from all over the world, whereas the main headache remains to be price fluctuations». Although no locally manufactured market pulp is available on the Turkish marketplace, producers can still rely on the fact that no import limits are imposed, and this results in no supply concerns. According to Omet’s overseas consultant, both in the consumer and in the institutional product range, different qualities will still coexist, even in the long term, so that market players will be able to offer high-end and low-cost versions of the same product, altogether. A process of innovation is currently underway, but it is Aral’s opinion that it will mostly concern other product families. «The most significant innovations are applied to roll products», he said, «given they showed able to gain the highest share in turnover and profits. One particularly neglected product with, so far, a marginal market penetration is that of facial tissues. Especially, soft-pack items are very hard to find on the market, and this means that the potential for such a practical and common use product should be unleashed in the future». Last but not least, producers are also required to promote their releases in a more effective way: «Suppliers», as Selami Aral told Paper Industry World, «will possibly need to devote further efforts in order to explain consumers the purpose that each tissue paper product has, since otherwise the risk is that the average end-user might occasionally happen to use the wrong item in the wrong place». While the tissue industry and market are both undergoing, in Turkey, a period of growth and satisfactory performances, other categories are facing a number of criticalities, influenced as they are by changing consumer habits and technological trends. «Newsprint», this is Selami Aral’s first example, «is clearly decreasing, while printing and writing papers remain stagnant and in both cases this poor performance seems to be basically due to the obvious digital revolution. Also, cement bags papers can be regarded as another loser, as the usage of cement in the traditional sack packaging is gradually being limited to small towns and rural areas». This does not mean that the Turkish paper industry as a whole is destined to suffer, since other applications are proving most successful, thanks to the Internet too. «At present», Aral observed, «the three bright stars of the paper and board market in Turkey are corrugated boards, cardboards and tissue papers. For the upward trend of the board market, there are several drivers. One of them is the continuing rise of exports, which require dependable packaging materials. Another driver is the increasing sales over internet, necessitating all kinds of deliveries in corrugated boxes. Another interesting development has been a structural change in the fruits and vegetables sector. Traditional wooden or plastic packages are being replaced with corrugated (or cardboard) equivalents, due to export requirements». Thus, it is Aral’s opinion that if in 2015 the total consumption of corrugated medium and cardboards had reached 3.5 million tons – out of which the local production amounted to 2.8 million tons – a number of growth opportunities are still there. In fact, the consultant noticed that «there are already three local and international players ready to start large corrugated medium and cardboard projects during this year. And, however, any new project would need to build upon a certain export potential, because the local market might quickly become saturated». 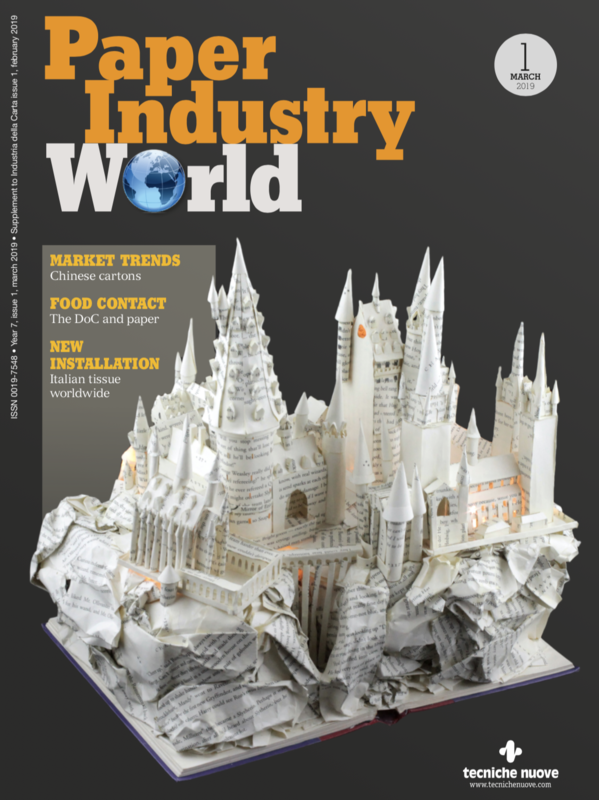 Given that the packaging industry is set to achieve greater importance in years to come, local players will likely have to prepare to implement new and more effective manufacturing processes, while at the same time reshape their market strategies. «Due to the dynamic development pace of the country», as Aral stated, «the entire scopes and goals of the packaging industry, from raw materials to package design, play a crucial role. So far, Turkish producers were guided by international packaging trends, but in the future, original innovative solutions may increasingly be generated, too. The need for a carbon footprint reduction, as well as other environmental burdens will thus be given the maximum priority». 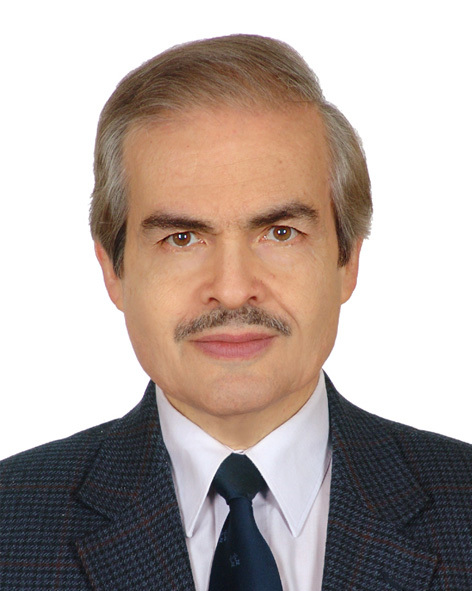 Prices and manufacturing costs need to be taken into account carefully in these times of transition from one business model to another and this is the reason why Selami Aral pointed out that the availability of respective packaging materials and equipment, at a more reasonable and attractive cost, will remain a guideline for major packaging developments. «To give you a simple example», he said, «replacing PE-wrapping film for bundles with thinner PO-film would only be possible with a new generation of affordable over-wrappers». Nonetheless, further and nearly unexplored business segments could reveal successful although their performance, so far, has been less remarkable. «One area which has been neglected and alienated in Turkey», Aral recalled, is that of end-of-line packaging. In this very field, the majority of activities still involve manual packaging, but this has been mainly attributed to the large availability of a cheaper workforce. Parallel to productivity increase efforts, we expect to see here more automated end-of-line packaging in the medium term». Tezol Kagit was established in the year 2000 as a subsidiary of the Tezol Group. 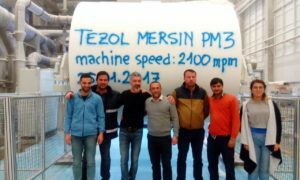 It now operates two tissue paper machines in its Torbali plant which is located south of Izmir. A third PM recently came on stream in the town Mersin in southern Turkey. 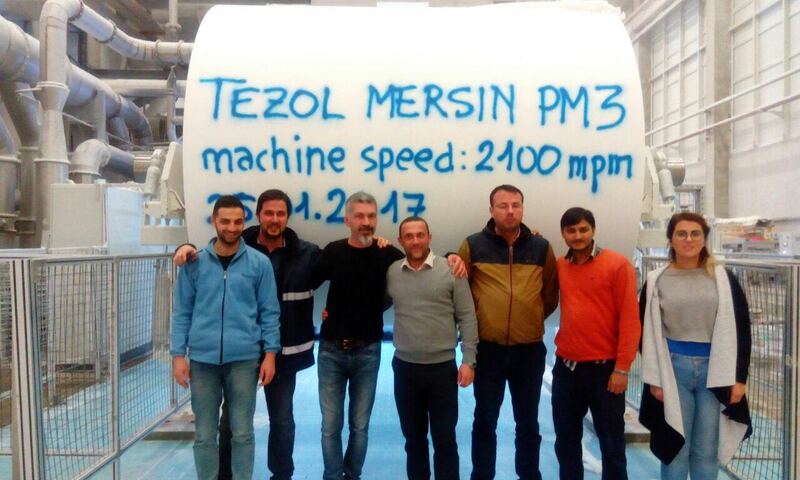 Being one of the few Turkish tisse paper producers involving a waste paper deinking process, Tezol is providing both local and international markets with a wide range of high-quality tissue paper reels and products. «Possibly this may sound a bit too optimistic, but personally, I am confident that both the domestic consumption and overseas sales of paper and paper-based items will continue their steady improvement in the upcoming period». These are the very words that Selami Aral used once he was asked to give our readers an overview of the Turkish paper market, and to depict its most likely perspectives for the next years. And the figures he based his optimistic opinion on are more updated than the ones we had already seen before. «Indeed», he said, «we noticed that the overall Turkish pulp and board consumption has been experiencing an average annual growth rate of 3.2 % until 2016, where some adverse effects, namely the stagnation of a number of traditional export markets, the aforementioned decline of tourism caused by a series of negative domestic and international events, as well as the fluctuation of foreign exchange rates, have impacted the Turkish economy, resulting in a remarkable slowdown». Despite the situation remained basically flat throughout 2015 and 2016 too, the new year opened with important signs of an undergoing improvement. Both the domestic economy itself and the paper industry should benefit from this recent change. «Although official results have not been announced yet», as Selami Aral stated and concluded, «one can reasonably assume that the overall consumption figure of 5.8 million tons, that Turkey achieved in 2015, has, more or less, remained the same during 2016. The year 2017 has, instead, started with a certain optimism and hopes for an improving stability. Both ongoing measures to ramp up the economy, and the promising efforts to establish a well anticipated peace in the neighboring export markets, are expected to show their most important outcomes during the current year, allowing the total paper and board consumption to continue the upward trend we described». Still, as we anticipated above, such experts as Tugba Erdogan believe that to provide international trades with a further boost, a strong initiative on logistics innovation is strongly required. The representative of Hayat Group considered that discharging operations are not as efficient as they are in Europe, for instance, and that the majority of available vessels are managed under spot-contracts, while long term agreements are significantly less frequent. Warehouses and stocks are often located at a long distance from the most important ports and container operations, in the country, proved so far to be «too expensive». As Tugba Erdogan finally recalled, the pulp exports increasing trend also requires an enhancement of logistics and transport activities, in order to allow Turkish players to increase their competitiveness. We really want to thank you mr Selami Aral because he was helpful in realizing this article via an interview. And the British Wood Pulp Association (Bwpa) & Hawkins Wright Symposium, for the information they give us from London Pulp Week, that took place at the Royal College of Surgeons, last November.